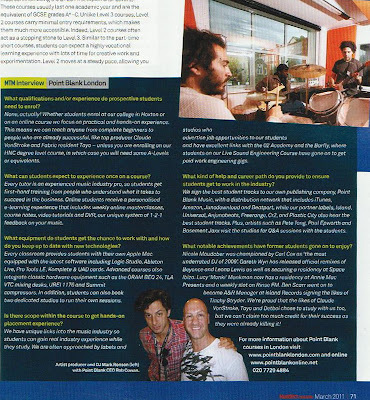 We were hounored to be one of the schools featured in the 'Education Explained' feature in the March 2011 issue of Music Tech Magazine (click on the image below for a larger version). 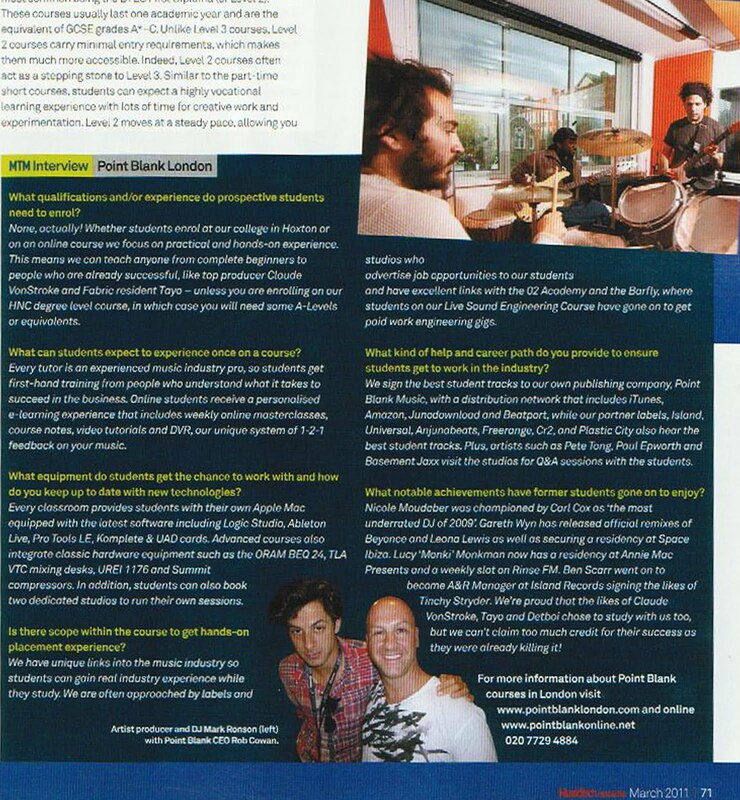 Go grab a copy to read the full article or if you are a student, pop into the office where you can browse our selection of all the major music industry mags. What's your favourite music software?